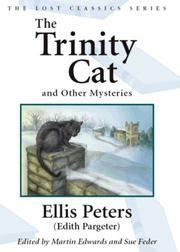 Fifteen tales of mystery and melodrama, all but four of them from the years before Peters, née Edith Pargeter, took the medieval mystery to bestselling new heights (Brother Cadfael’s Penance, 1994, etc.). The stories fall into three groups. The first five (1954–59), all serialized in women’s magazines, are unhurried accounts of detection (the search for a killer who left a dazzlingly beautiful corpse), menace (a young boy is unwittingly left with the proceeds of a robbery), or both (an English tourist gives a lift to a French girl fleeing her fiancé). The next four (1963–65) are anecdotal short-shorts that turn on a single situation (the guide to a manor house recalls the suicide of a foreman’s wife, a life-jacketed woman mysteriously drowns at sea, an amateur jewel smuggler meets his match). To this group also presumably belongs “The Man Who Held Up the Roof,” another revenge story and the only previously unpublished item here. Of the last five stories (1969–93), the most conventional is the title piece, a cozy village whodunit. The most notable is “The Frustration Dream,” in which the dream of pursuing a retreating figure through an impenetrable maze of corridors becomes literal. Though Peters (1913–95) disclaimed any special expertise in short fiction, the evidence here is varied and beautifully written, with particular attention to bringing even minor characters to life.